Unlike Union Square and Midtown, the neighborhoods of Nolita and Bowery feel less crowded with tourists and have a stronger sense of community. They are filled with local shops and charming restaurants in historic, old buildings. It's not an area where you find many (if any) modern high rises. 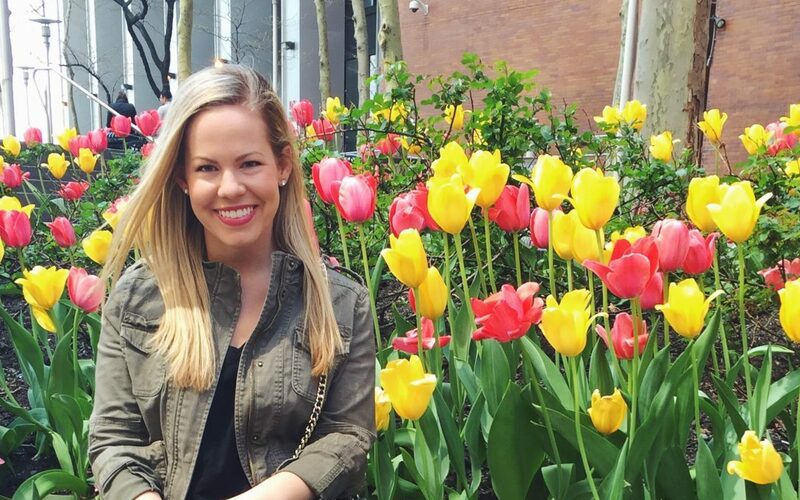 Despite being less popular, I've found some of my absolute favorite places to wine and dine in these areas, which I've detailed below! 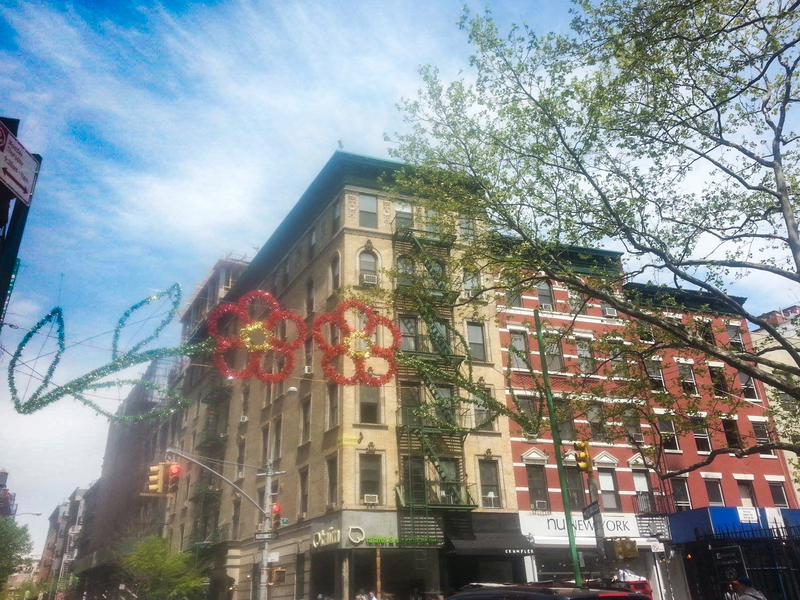 This charming, upscale neighborhood is located south of Houston between Bowery and SoHo. It's home to designer clothing stores, home design stores, perfumeries and jewelry boutiques, such as Rag & Bone, Vince, Clare V, Everlane, Credo Beauty, Le Labo, Atelier Cologne, and many more. I've always enjoyed the local feel and slower pace (by New York standards) of Nolita. 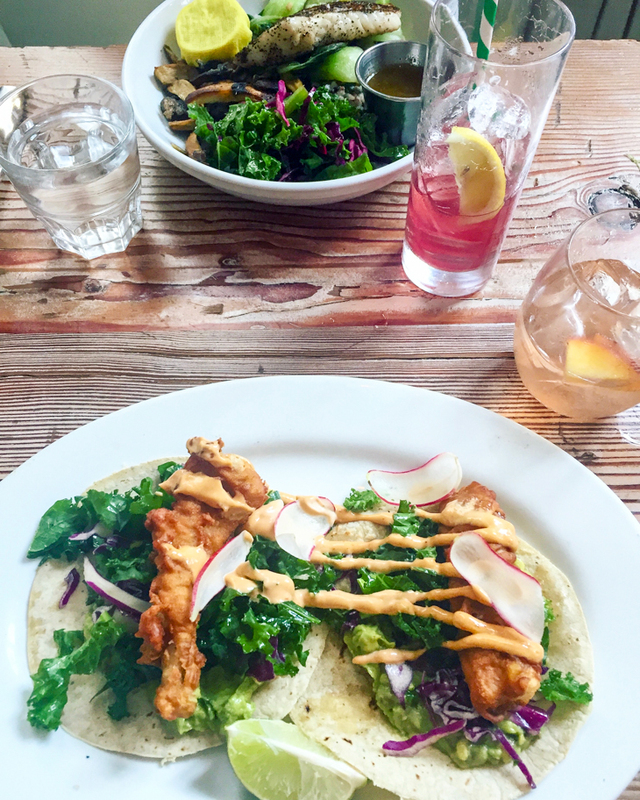 Seamore's – This sustainable seafood spot has since expanded beyond it's original location in Nolita. The space is filled with light, and makes you feel like you are in a local beach town – not the middle of Manhattan. Their poke bowl to share, crispy fish tacos and $1 happy hour oysters on weekdays cannot be missed. If it's a nice day, they have outdoor seating. If it's not, they're on the Caviar delivery app! Rubirosa – A comfortable, neighborhood pizza & pasta ristorante that's among the best in the city! To me, great pizza comes down to the crust and the tomato sauce – they nail both. They are also on the Caviar delivery app! The Butcher's Daughter – If you're looking for a healthy snack or meal, look no further than The Butcher's Daughter. This plant-based restaurant sources it's ingredients from local and organic farms, and has since expanded to multiple locations in the city, as well as California too! The menu changes regularly, and they're open for all meals of the day. 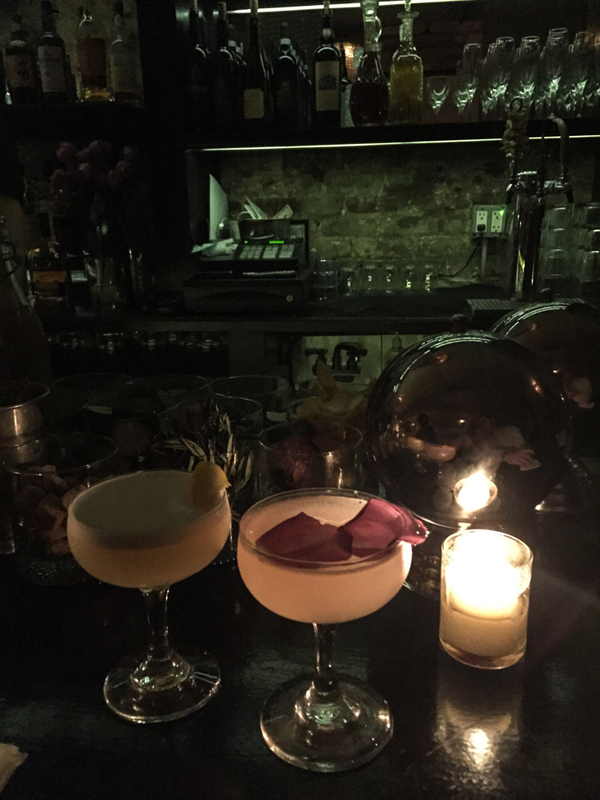 Mother's Ruin – A small bar filled with locals is a great place for a cocktail (or slushie!) whether you are grabbing an after-work/before-dinner drink or meeting a friend. It's the kind of place where you can get one drink and move on with your day, or stay for hours catching up. Credo Beauty – A natural, clean beauty boutique that also offers in-house skin treatments, they carry some brands that I love like Osea, One Love Organics, RMS and more. Valley Nails – I went to this beautiful, calming nail salon a few times for fun nail art. They use toxin-free products and polishes, and do a beautiful job! Located east of the street also called Bowery, this funky neighborhood is a mix of the old and new. 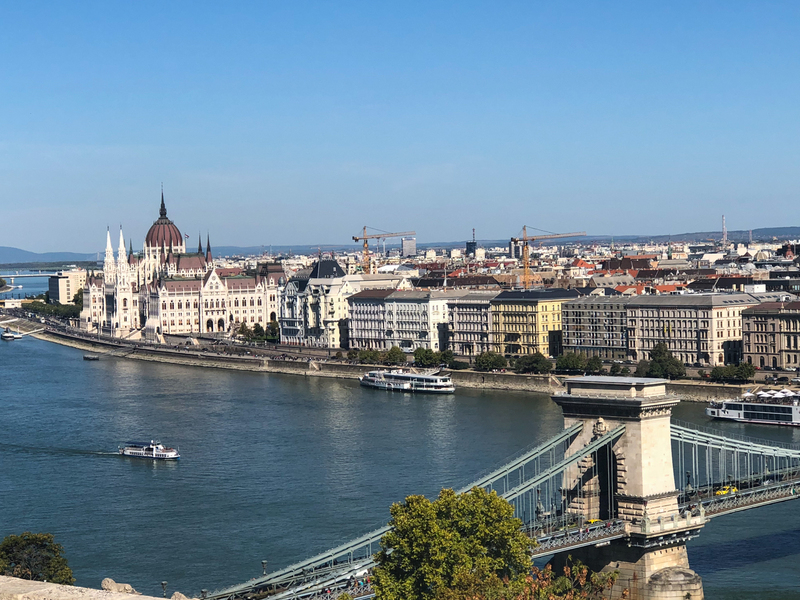 What used to be an area filled with the homeless and prostitutes is now becoming a much safer and more high-end, cultured area with cool mix of trendy and grungy. Walking around alone at night is still in question, but it's certainly better than it apparently used to be. Gemma – Located on the ground floor of the Bowery Hotel, this large corner restaurant has a large bar area, multiple dining rooms inside and patio seating out front. Given they are a hotel restaurant, they're also open for all meals of the day, and stay busy! 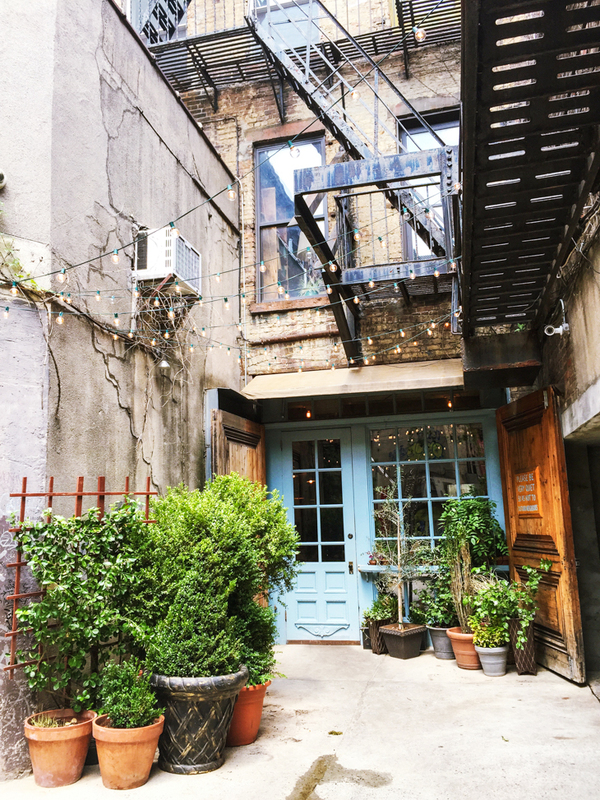 Freemans – Every place I mention in my NYC guides especially have a story, and Freemans is no exception. I had been wanting to go here for what felt like forever. I got assigned jury duty (the worst) while I was living in the financial district and when our group was offered a two-hour lunch break, I knew this was my chance. To take up the whole two hours without being tempted to go home, I decided to walk to Freemans, have lunch by myself, and walk back. Walking through the alley alone was slightly sketchy but mostly exciting. It felt so long! When I arrived to the hidden gem, I was greeted by a server with a loopy mustache and sat at a small table facing the front window looking out to the alley. I ordered a great BLT and went about the rest of my day, sure that I would be back for more. I returned on numerous occasions excited to bring friends for the first time and enjoyed their Hot Artichoke Dip and cocktails, too! Vandal – This restaurant opened while I was living there, and it brought on a lot of hype for it's street-style, artsy vibes. I'm pleased to share that it was worth it – especially the wild mushroom street pizza and crispy bao buns! I also enjoyed their cocktails and sticky rice dumplings. Morgenstern's Finest Ice Cream – For really creamy, gourmet ice cream in interesting flavors, this is the place to go! It's a modern ice cream parlor that's painted bright blue from the outside – you can't miss it. Note that there is not much seating, and it can get very busy! 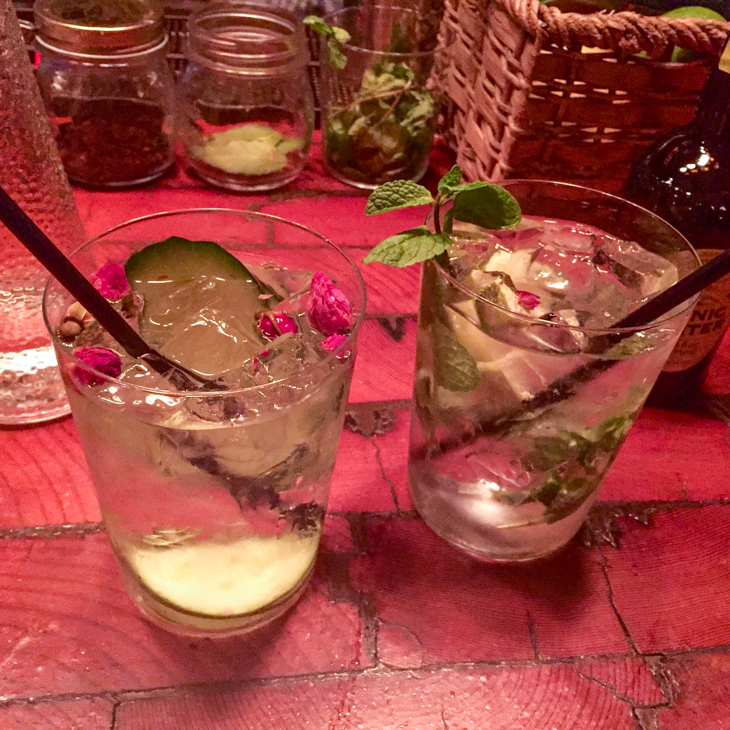 Cata – If you are a G&T lover like myself, you need to go to Cata. They have a menu dedicated to variations of G&Ts with more than 10 options. I loved the cucumber & rose and the mint, but they all sound interesting and refreshing. They also serve tapas and since it is the sister restaurant of Alta, that I love, I'm sure they're delicious! Hill & Dale – This brick-walled gastropub was frequented by my group of friends for their spacious interiors (if you go early, before it gets packed) and well-made cocktails – my favorite being the Flip The Frog with gin, muddled cucumber and elderflower liquor. In the back, it has more of a lounge vibe with leather couches and Victorian-inspired interiors. They also do serve food, but I never had it. 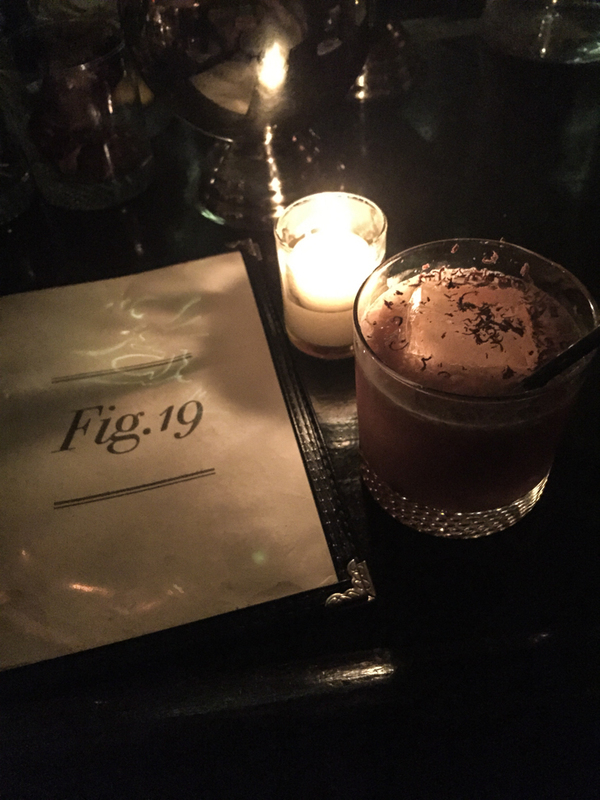 Fig 19 – My boyfriend and I were looking for somewhere new to go in the area after dinner one night, and spotted this speakeasy we had never heard of on Foursquare. We arrived to the location with a bouncer outside who let us into a modern art gallery with all white walls, leading to a plain white door in the back. It is a beautiful, chandelier-lit bar that is rather small, but in a cozy not claustrophobic way. I recommend going early if you want a seat, keeping your group small and ordering from their cocktail list. From the Vanishing Point to the Rose Selavy to the Midnight in Paris, they are all fantastic. It's a must-try! What hidden gems have you discovered near you? 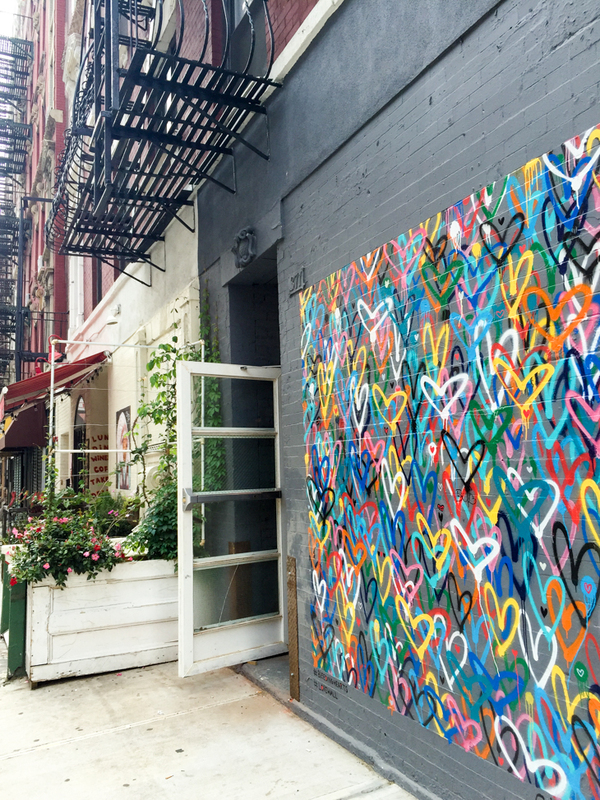 Stylish Bowery Hotel eatery serving up Italian fare & people-watching, with outdoor seating. Globally inspired street eats & cocktails in a splashy space with a lower-level lounge & DJs. Neighborhood Italian spot serving reinvented Italian-American classics & pizzas in a dark space. Spanish tapas & a gin-centric drink list are provided in this tile- & copper-accented dining room. Secret art gallery entry revealing a cozy, chandelier-lit hideaway spotlighting craft cocktails. This brick-walled gastropub with leather sofas & Victorian decor supplies inventive comfort food. Modern parlor featuring creative flavors of ice cream & sorbet plus gourmet sundae toppings. Bright, bleached-wood outpost offering vegetarian (mostly vegan) fare & juices in a relaxed space. 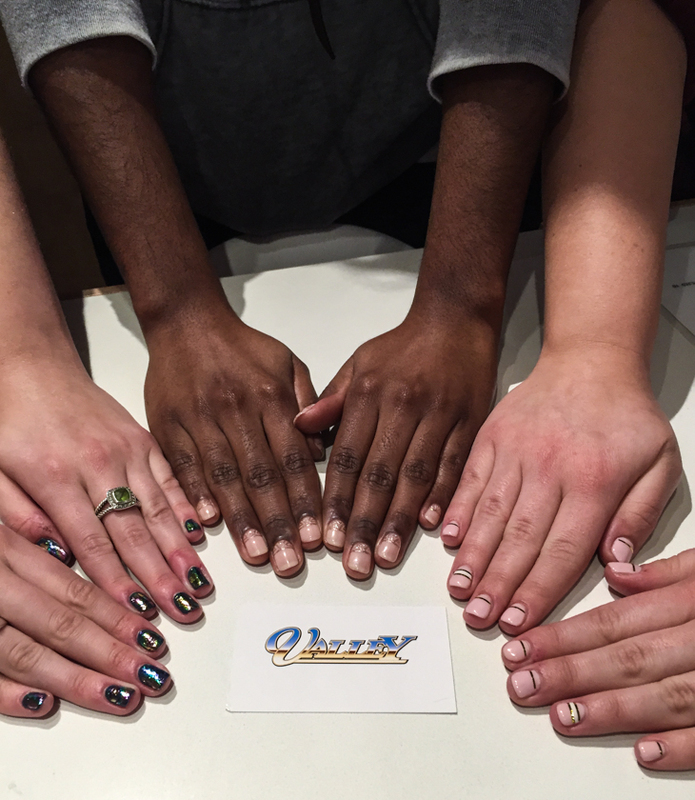 A stylish nail salon specializing in quality nail service and nail art using only toxin-free nail polish. Credo NYC brings you holistic beauty and wellness with spa services that utilize their range of clean skincare products. Their beauty treatments and products are cruelty-free and are from a wide variety of clean brands that use natural and organic ingredients.